Flowers or a plant are a great choice for a spring wedding. This is also an eco-friendly choice for a couple to make for their spring wedding favor. 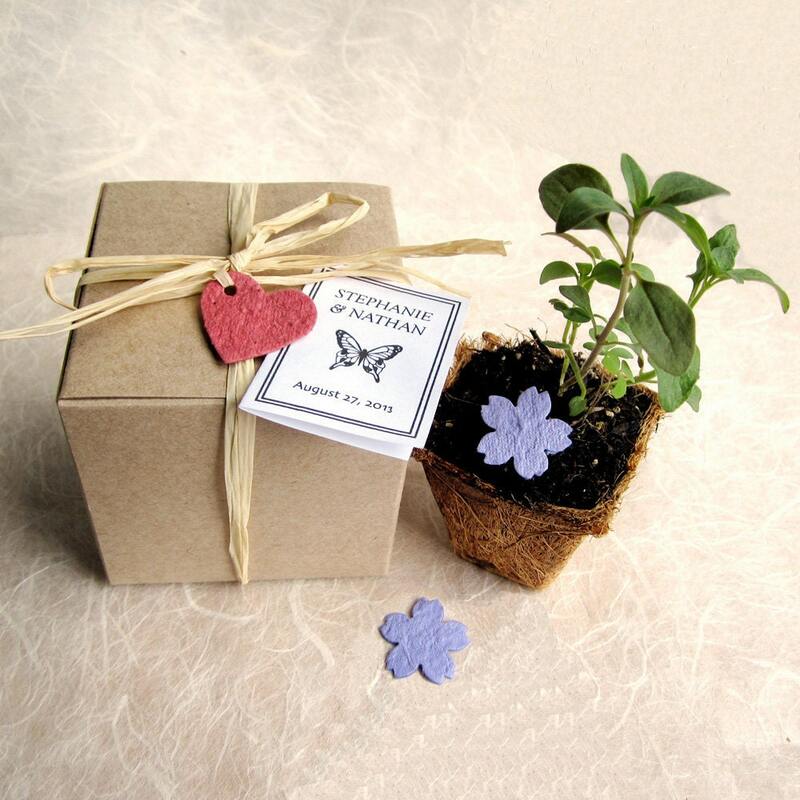 Try Forget Me Not flower seeds for a sweet and romantic choice. Ask your local gardening store for recommendations for flower seeds and plants or visit Recycled Ideas on Etsy. Fans are another fun choice. Best of all, with this favor, guests can fan themselves if it is a too hot spring day, which can occur. Fans are bright and colorful and many brides like this fun favor choice. 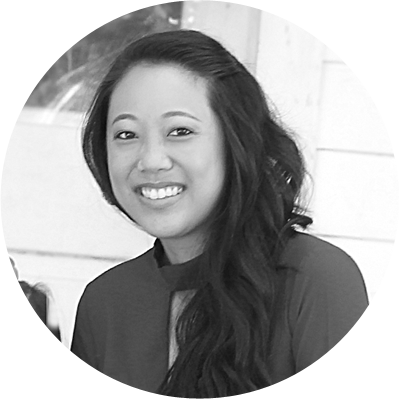 Check out Bon Fortune on Etsy for more great ideas! 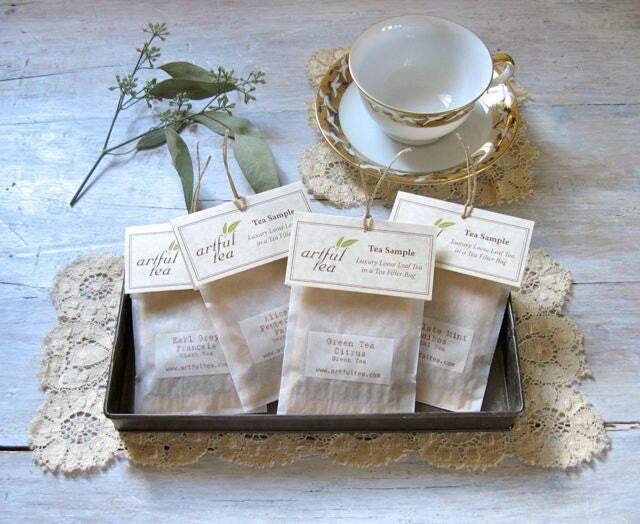 Tea themed favors are another great spring choice. Those who love ice tea traditionally make it from brewed tea for a refreshing spring drink. You could use great tea favors including ice tea spoons, teas, teacups and tea strainers. ArtfulTea on Etsy has a wonderful selection of luxury loose leaf tea that would make great favors.